David M. Loev founded the firm in January 2003. Prior thereto, David served as a partner at Vanderkam & Sanders, a law firm specializing in corporate/securities matters. Previous positions include serving as Chief Financial Officer, Treasurer, Secretary and General Counsel of PinkMonkey.com, Inc., an Internet publisher of educational study aids; also working as an associate at Brewer Pritchard, P.C., a law firm specializing in corporate and securities. David has represented a variety of public and private small to medium sized companies and has experience with public and private offerings of securities, SEC reporting, mergers and acquisitions, initial public offerings, up-listings to NYSE & NASDAQ, and federal securities law compliance. 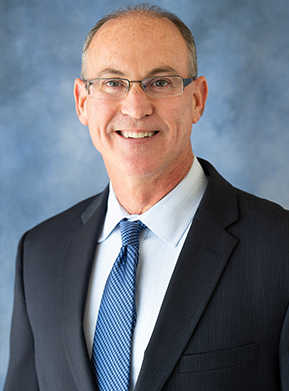 ●David M. Loev elected President of the Houston Hebrew Free Loan Association for 2017 and 2018. David served as Co-Chair of Israel Bonds New Leadership Division from 2010-2012. ●David M. Loev named as a Top Texas Lawyer, and a Texas Super Lawyer – 2005, 2006. Super Lawyers is a Thompson Reuters Service. ●David M. Loev elected to Board of Directors for Houston Hebrew Free Loan Association in October 2014. ●David M. Loev appointed Co-Chair of Israel Bonds New Leadership Division 2010-2011 and 2011-2012. ●October 2009 – David M. Loev, completes Manousso Mediation & Alternative Dispute Resolution Services – Mediation Training Program. ●On January 11, 2007, David M. Loev spoke at the 2nd Annual PIPEs Summit at the Sonesta Hotel & Suites in Coconut Grove, Florida, regarding the SEC’s new approach to Rule 415(a)(1) Registration Statements. ●Study Shows David M. Loev, Attorney at Law as one of the Top Ten Law Firms filing Form SB-2 Registration Statements in 2005. ●David co-authored “Changes to SEC Rules Regarding Shell Companies and the Use of Form S-8 Registration Statements,” which was published in the January/February 2006 edition of the Journal of Taxation and Regulation of Financial Institutions. ●David co-authored “New Over-The-Counter Bulletin Board Rules May Mean Three Strikes and You’re Out to Some Issuers,” published in the Spring 2006, Attorney-CPA Journal. ● David co-authored “What Constitutes a Security and Requirements Relating to the Offer and Sales of Securities and Exemptions” which was published in the January 2017, Attorney-CPA Journal and in April 2017 in the American Bar Association-Business Law Today.